I debated if I should post this or not because I don't think the photos truly represent the color and I couldn't get any better ones. 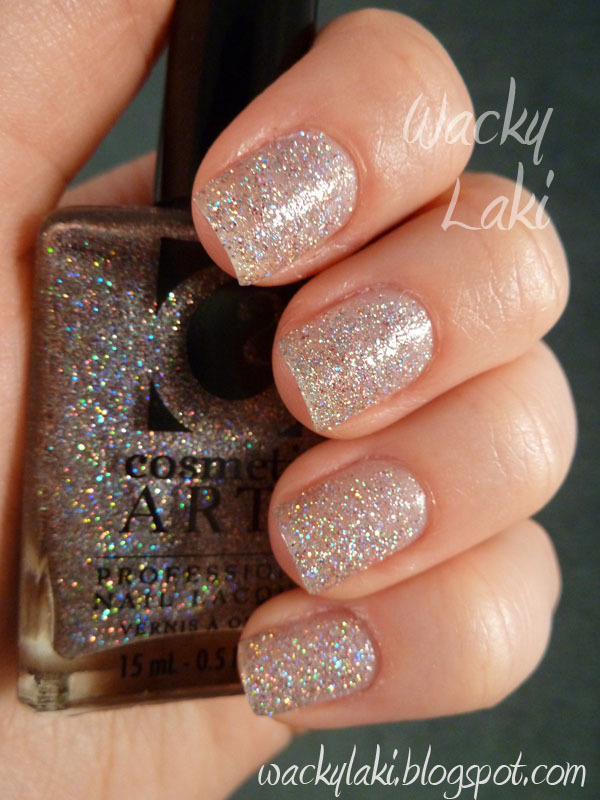 This is a multi-colored, holographic glitter from Cosmetic Art. 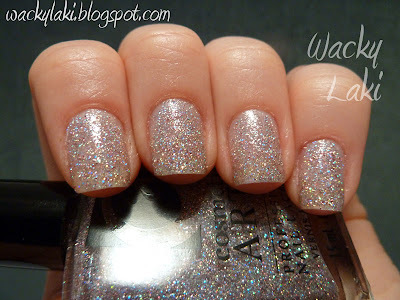 It is manufactured by Forsythe Cosmetic Group which is the same company that produces Color Club nail polishes. The name/number sticker was not on the bottle so I think the name is Fairy Dust by looking at the company's website. If anyone can confirm/correct this it would be great! 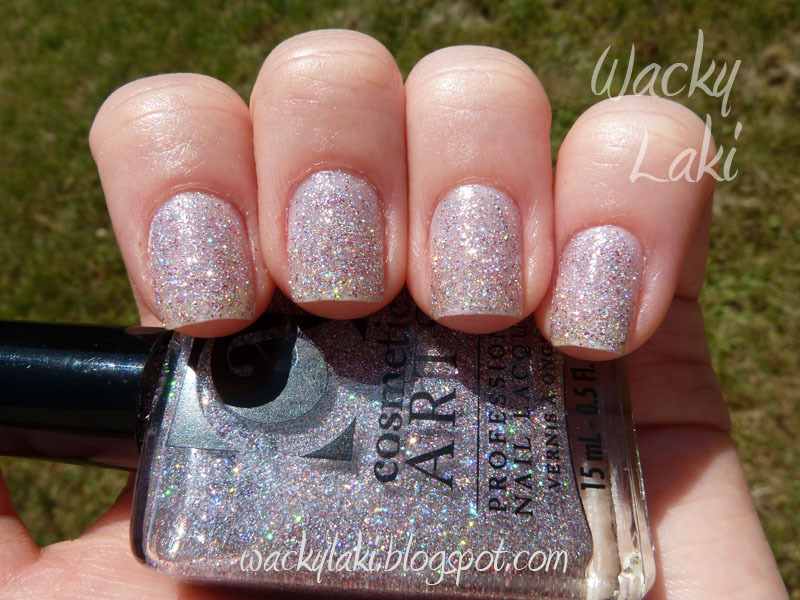 Outside in the sunshine, the camera still didn't capture the true beauty of this glitter. I don't usually like blurry photos, but this was the only way I could get some of the colors on camera. As always any of the photos are clickable to zoom in! Color Name/Number: Fairy Dust (I think) - please let me know if I'm right/wrong if you know! this is gorgeous! love the density of it, just right - not too much, not too sparse. 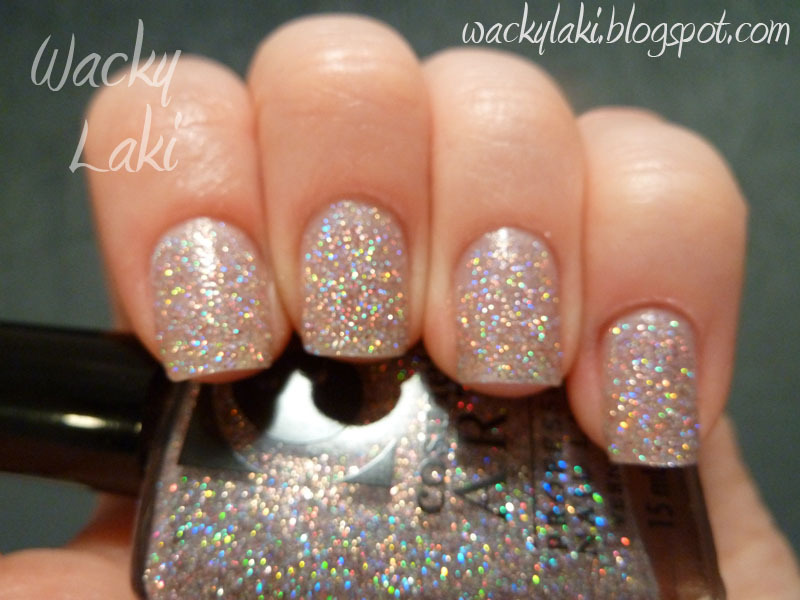 so sparkly!! 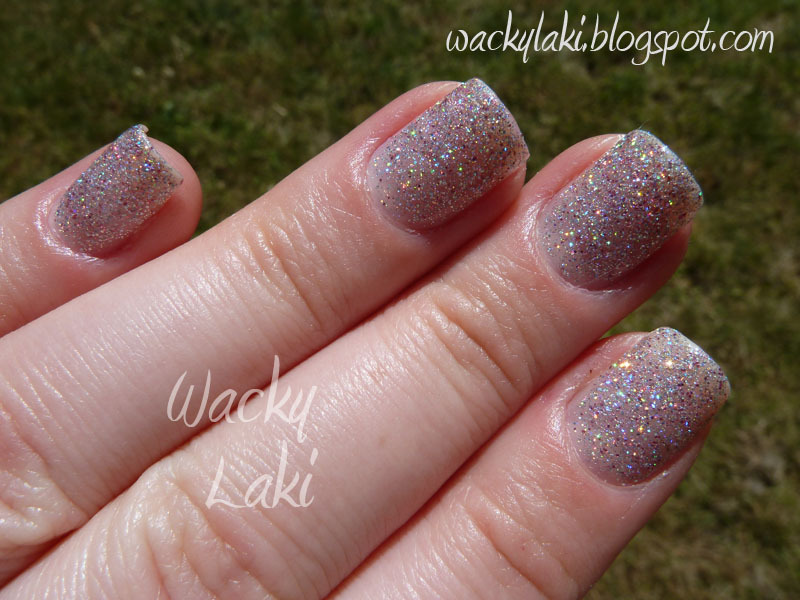 i definitely know what u mean when u have such an amazing glitter and the camera just doesnt do its justice!. but i love the blurry picture! i can so tell it sparked in the sun! love it. just wondering. have you tried it over another color? how does it look? !